The idea of a 300-pound offensive lineman trading in his helmet for a protractor obviously generated a lot of interest, as well as a lot of bad math/football puns. 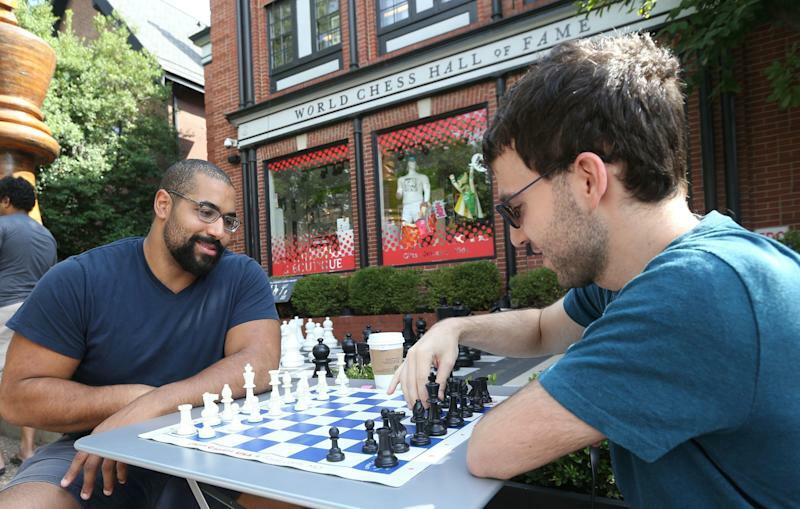 Now, Urschel has quietly set himself a new goal: he wants to become a chess master. 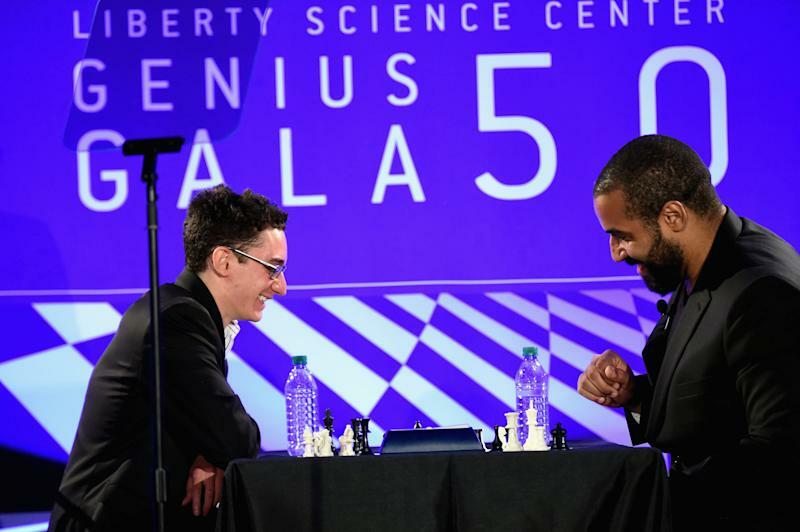 John Urschel faces Grandmaster Fabiano Caruana, one of the top 10 players in the world, at the Liberty Science Center's Genius Gala on May 20, 2016 in Jersey City, New Jersey. Urschel has set himself the goal of earning the National Master title, which is awarded by the US Chess Federation to players who reach a certain rating level. While the “NM” title falls well below the prestigious Grandmaster title given out by FIDE (the International Chess Federation) it’s still a heavy lift for someone who’s getting a PhD and raising a child at the same time. Nevertheless, Urschel thinks he can do it. So does Daniel Rensch, Vice President of Chess.com, the most popular online chess site. “I would be surprised if he doesn’t make master in the next five years,” he says. After I spoke to Urschel on the phone for this article, I challenged him to a quick game on Chess.com. He accepted. It was a tense game, with both sides holding the advantage at various points. Urschel managed his clock better than me and I lost on time in the endgame (in timed games, the first player whose clock runs out loses). I showed our game to Daniel Rensch to see if he had any thoughts. After offering me some tips on my own play, he turned to Urschel’s. Get ready for some chess jargon. In 2015, after Chris Borland’s retirement due to concerns over football-related brain damage, Urschel publisheda piece in the Players’ Tribunedefending his decision to keep playing the game. “Objectively, I shouldn’t,” he admitted. So why not quit? “I love hitting people,” he said simply. For Urschel, there was just no replacing the rush of physically dominating another player.